Alternative dispute resolution (ADR) refers to out-of-court methods of resolving legal fights. ADR has been around for a long time. 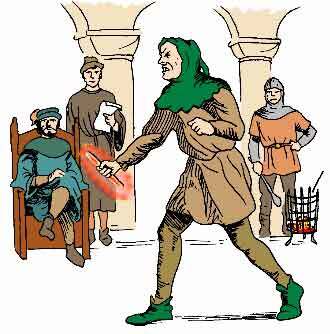 During the ordeal, trial by fire, water, or combat determined winners and losers. So much for the good old days. 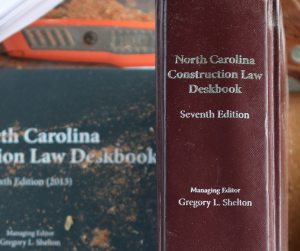 Together, arbitration and mediation dominate the ADR field in construction cases. Many standard form contracts, including ConsensusDOCS and AIA form contracts, require the parties to mediate and arbitrate disputes. Newer contract forms provide an ADR check-the-box option, with litigation in court as the default. People sometimes confuse mediation and arbitration. Both methods seek the same goal, full resolution of the dispute, but do so in very different ways. Mediation is a process by which an outsider, the “mediator,” helps the opposing parties resolve their dispute by agreement as opposed to a third-party decision. In most mediations, the parties and the mediator will assemble in a conference room and present their sides of the story. After the “general session” is over and the parties have said their peace, the mediator usually separates the parties into separate rooms and goes back and forth delivering offers and counteroffers, closing the gap with each visit. Mediators are much more than messengers. They must be able to read the room, deal with emotional combatants, and keep the negotiations on track. Mediators do not give legal advice or act as advocates for one party or another. That’s what the lawyers are there for. If the parties come to a settlement, the mediator may prepare an agreement and have the parties sign on the spot. I prefer this approach because the people with an investment in the process can close the deal before going back to their offices and homes and possibly being corrupted by the peanut gallery. “You agreed to what? If I had been at the mediation, I would’ve told them blah blah blah.” You would be surprised how many settlements fall apart when the lawyers return to their offices to finalize the deal. If the parties are not able to resolve the dispute, the mediator declares an impasse and the mediator’s job is done. In most cases, the offers and counteroffers made at mediation may not be used as evidence in court. Mediators may keep proceedings open after the first round of negotiations if the mediator believes additional time or information could facilitate a full resolution of the dispute. I will address arbitration at another time. Until then, it suffices to say that arbitration is a binding process whereby a decision is made by the arbitrator. Conversely, the mediator does not make any factual or legal determinations, nor does he render any decisions.